We had a photography congress at Moolmanshoek in the Eastern Free State. There are so may photographic opportunities. The Isle of Wight, an island off the south coast of England, can be reached with a ferry. It is a beautiful island with lots of landscape photographic opportunities. This was at Totland. Siem Reap became a very popular for touring as there are many ancient temples of which Angkor Wat is probably the most famous one. This one is East Mebon, a 10th Century temple at Angkor. Singapore has been one of our holiday desytinations for the past few years and I love doing photos around the Marina Bay Sands and Gardens by the Bay. The Game farm next to "The Wedding Barn" venue where we had a wedding Saturday had the most beautiful scenery where we took Erich & Carien’s wedding photos. Wishing we could still be here – Ao Nang beach in Krabi, Thailand. Lesotho is a beautiful country. I have experimented with some black and white landscapes. I loved how the son came through the clouds on this image. I have done a few photos of the Singapore stadium before it was completed. On our last trip to Singapore I had the opportunity to photograph the completed stadium. I have experimented a little with black and white landscapes. This was one of my images from Raylay Beach in Thailand, I felt it had good potential. Singapore just have so many opportunities for night photography. I took this photo on our last trip to Singapore in May. Even though it was not rice planting time when we were in Sapa, we could still see the plantations. Sometimes landscapes work in black and white conversions. This was Ao Nang Beach in Krabi, Thailand. We had such beautiful sunsets at Krabi. Every day was unique with beautiful colors. Back in Singapore, I did some cityscapes during day time as well. On our previous visit to Ha Long bay (Vietnam) we also passed by some farms where the workers were busy harvesting. The Thiên Cung Caves is located in the Ha Long Bay area, Vietnam. It looks a lot like our Cango caves in South Africa. We are looking forward to return to Vietnam this year. One of the places we will be revisiting is Hạ Long Bay. We are currently planning our holiday for this year and we are planing on revisiting Vietnam. This was at Ha Long Bay in Vietnam. Even before I started my photography career, I have already documented our holidays with photos. This bridge is at the summer palace in Beijing, China. I revisited some of my archive holiday photos and discovered this one. It was during our 2008 Cape town holiday. The sun is setting over 2014. Singapore has many opportunities to photograph reflections, such as this image of the Super trees at the Gardens by the Bay. I attended an event last year in Lesotho where I got this shot. It was a rainy day. Some locals arrived on horses to attend the event. 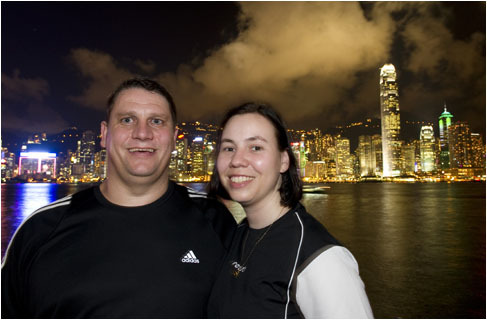 We have traveled in China in 2007 just before the Olympic games in 2008. It brings back a lot of memories and I do wish that we will be able to go back there. Sunsets can be so spectacular. This was a beautiful color display on Kuta beach in Bali. Oudtshoorn has so many beautiful landscape opportunities. My mom and I visited a friend on a farm close to Kroonstad. It rained earlier the day and the clouds opened up at sunset time. Dedicated to the De Bruyn family. As the sun sets over Oudtshoorn, our week at Oudtshoorn also came to an end and we arrived safely back home.